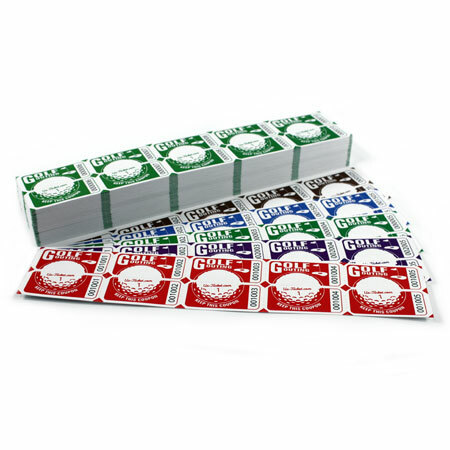 Our Golf Strip Tickets are printed in bright colors on white card stock. Perfect for admission to golf events or golf themed raffles. 5, 2 part tickets per strip, 100 strips per pack (500 total tickets).